Hello2Hosting Review 2019: Is Hello2Hosting a Good Hosting? 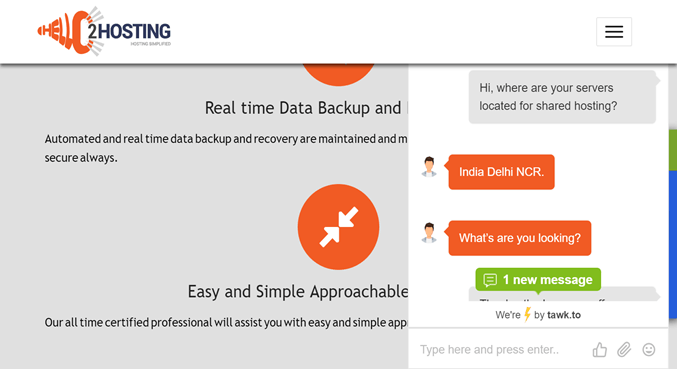 Since its inception, Hello2Hosting has used cloud-based solutions to empower small and medium-sized businesses in India grow their online presence. Hello2Hosting is a subsidiary of Unbox Data Centers Pvt. Ltd. It may be a small company with only a customer base of 100+, but the team at Hello2Hosting has over a decade of experience in the web hosting industry. The company’s main focus is to help small and medium-sized ventures in India develop their businesses online. Hello2Hosting hosts its customers from four server locations in India. Its website and services are available in English, but it should be noted that when I spoke to customer support, they responded to me in broken English. Hello2Hosting offers a variety of hosting options which include shared hosting, dedicated servers, e-commerce hosting, Windows/Linux hosting, cloud hosting, and VPS. It offers two sets of shared hosting packages, namely the basic and advanced shared hosting plans. 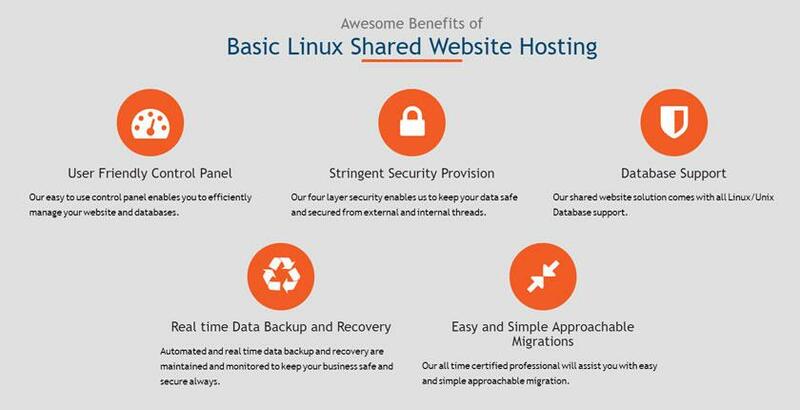 All Windows and Linux-based shared hosting plans come with unlimited disk space and traffic. With each tier up, you get roughly the same features but with additional domains and lines for customer support. There are a few glaring omissions with Hello2Hosting’s packages, however. First of all, even though it offers data backups, there’s no clear indication as to how frequently these backup copies are created. The Hello2Hosting SLA states that backups will be taken on a weekly basis, whereas on social media they write that backups will be taken daily. Secondly, even though the company states that it offers a 99.995% uptime SLA, this appears to only apply to the power — not the network or the servers. It leaves you questioning how reliable Hello2Hosting really is. Finally, there don’t seem to be any beginner-friendly tools available. The shared hosting packages don’t come with a website builder, for instance. You also won’t find any one-click installers with Hello2Hosting, although the company does offer a few CMS hosting packages that appear to have a relatively straightforward setup process. Hello2Hosting’s prices are quite in line with the market standards, especially considering they offer “unlimited” disk space and traffic. That said, even though the company is generous with its resources, it doesn’t offer very many features. This makes the plans not great in terms of value for money. You also won’t get free SSL certificates or domain name registrations with the basic plans, so you’ll have to tack on that additional cost to your final bill. Hello2Hosting doesn’t have a free trial period. However, you do get access to a 15-day refund policy. Also bear in mind that if you go with Hello2Hosting, the shared hosting plans here only come with yearly contracts. Payment options include PayPal, 2CheckOut, credit cards, bank transfers, and CCAvenue. Support-wise, there isn’t a knowledge base available, so you won’t find much help on the Hello2Hosting website. There are various other channels for support though. You can reach the support team through live chat, email, or phone. When I contacted them via live chat, they responded almost instantly with specific answers to my questions. Hello2Hosting does have affordable packages, but it lacks a number of features that would make it a top-quality company. Support is very responsive, however, so you may still find a home here if you’re willing to do without all the extra frills. Get comprehensive and best suited shared hosting for your business at Hello2Hosting. Wondering how Hello2Hosting stacks up against other Web Hosting companies? Enter any other Web Hosting company and we will give you a side-by-side comparison.